SAN FRANCISCO (KGO) -- ABC7 News has learned that several San Francisco pot dispensaries hope to begin selling recreational Cannabis as soon as Saturday. Seven dispensaries have been given approval to seek a state license to sell cannabis to anyone over 21 years old. 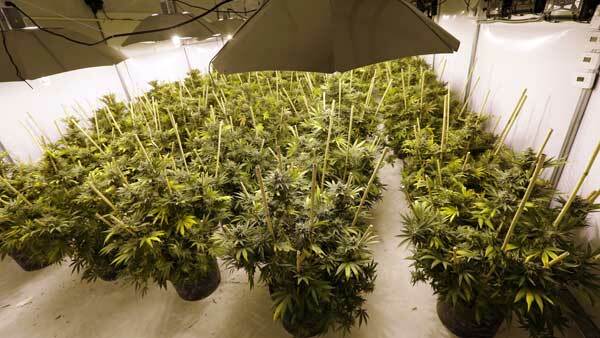 The move paves the way for pot sales in one of the state's largest cities. Before being given approval by the city, cannabis dispensaries are required to be reviewed by the San Francisco Department of Health, Police Department, and the city Office of Cannabis. Only dispensaries that have both state and local approval are allowed to legally sell pot. In a statement, San Francisco Office of Cannabis Director Nicole Elliott said "The City has been working diligently and swiftly to move the cannabis industry to a regulated space so that our small businesses can be in compliance with state and local law - laws that are meant to better protect our communities and consumers. Friday marks an important transition in our endeavors, and I appreciate these retailers' commitment to being good neighbors and to creating a safer and more equitable environment in San Francisco." Several of the dispensaries ABC7 spoke to said they have not received their state license yet, but, they remained hopeful that their permits would be approved Friday so that they can sell Saturday. Medical cannabis customers can continue to purchase cannabis with a prescription. The city's Director of Public Health Barbara Garcia added in a statement that, "As San Francisco implements legal adult-use cannabis, we look forward to the benefits to consumers, who will be able to know that they are buying products that are regulated and tested for quality and safety. We anticipate working together with retailers to ensure that consumers are given information about the safe consumption of the products, so that the transition goes smoothly and successfully for everyone." Recreational cannabis became legal on January 1, however, the San Francisco Board of Supervisor only adopted rules last month that allowed for sales within city limits. The delay postponed sales until after January 5. Click here to find out where you can legally buy cannabis.